With Pharrell’s debut Something In The Water Festival heading to his hometown of Virginia Beach, Va. later this month (April 26-28), the multitalent has revealed a few more surprises up his sleeve. 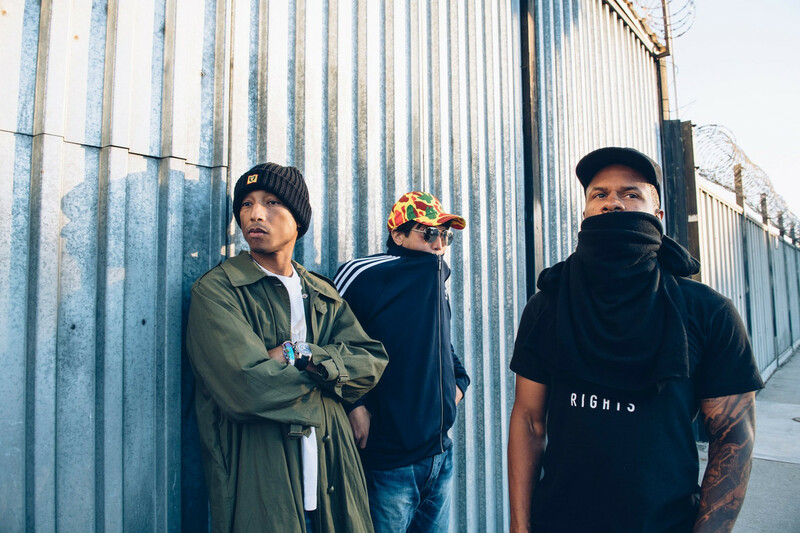 The festival announced on Tuesday that Timbaland, N*E*R*D, Busta Rhymes and Fam-Lay will be joining Skateboard P’s ensemble of friends accompanying him on stage. 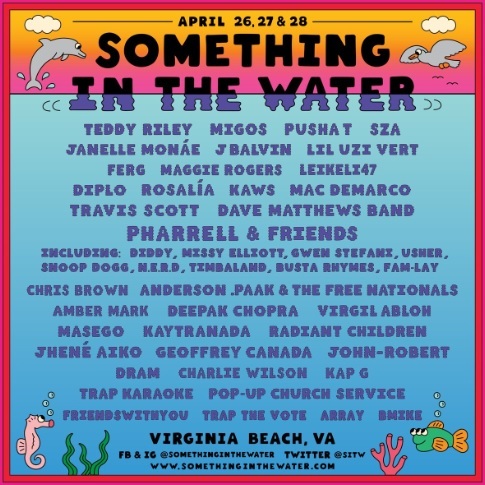 The three-day festival put together by Virginia Beach native Pharrell Williams will be at the Oceanfront from April 26-28. Organizers said as many as 25,000 people a day could attend. Last October, Pharrell Williams and his longtime manager, Ron Laffitte, met with officials from the city of Virginia Beach, Va., the Grammy-winning producer’s hometown, to pitch a new festival, Something In The Water’, that they wanted to launch this summer.